The school’s computer and communication network provides state-of-the-art computing facilities and broadband Internet connectivity with firewalls. ICT exposes students to modern technology.We focus on implementing ICT to truly benefit student learning to provide teachers and students with up-to-date information about technology so that they will be able to expand their resources for functioning in the global workplace. 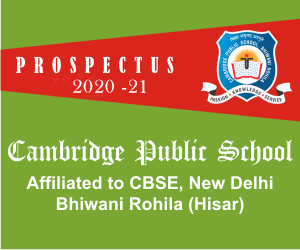 Cambridge Public School integrate Information and Communication Technology (ICT) into the curriculum, and thus provide the latest resources in this field to the students. This involves setting up Computer lab inside the premises with the required Computer Hardware, software and accessories and providing the necessary furniture and fixtures.